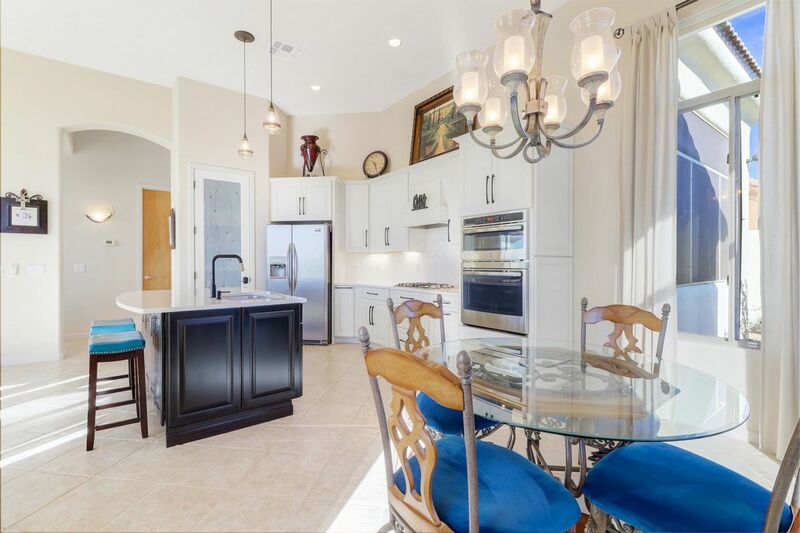 Light, bright and beautifully remodeled! 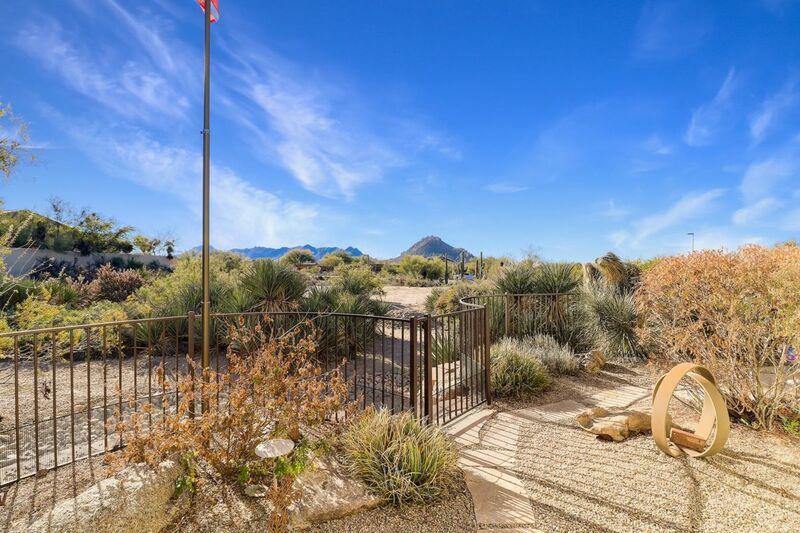 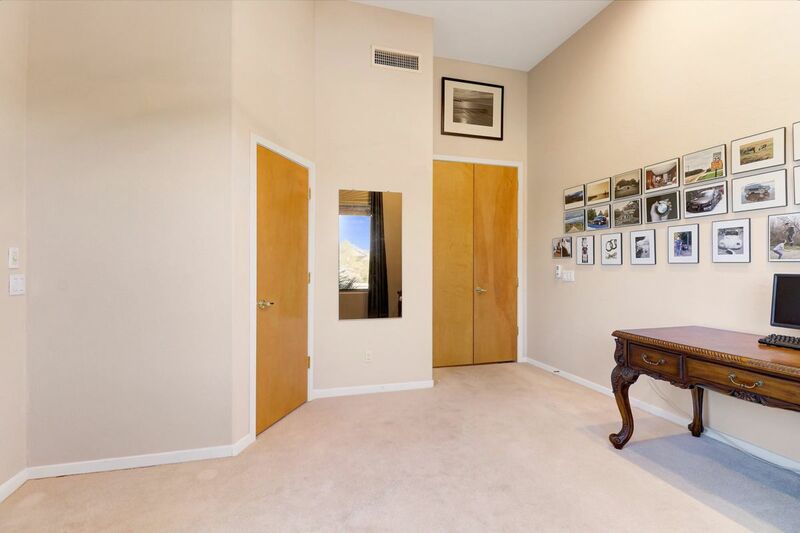 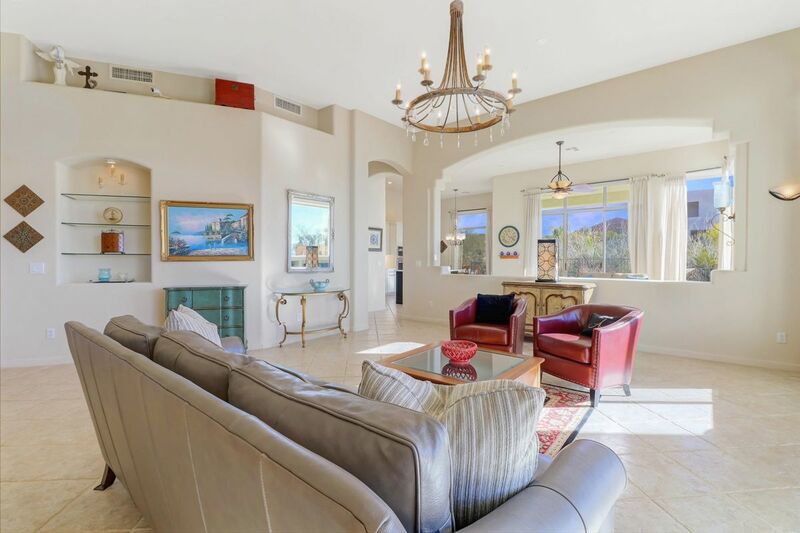 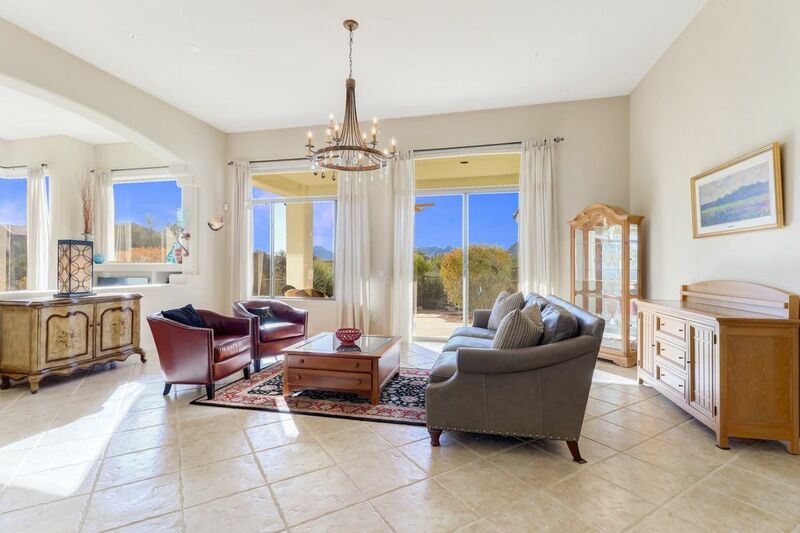 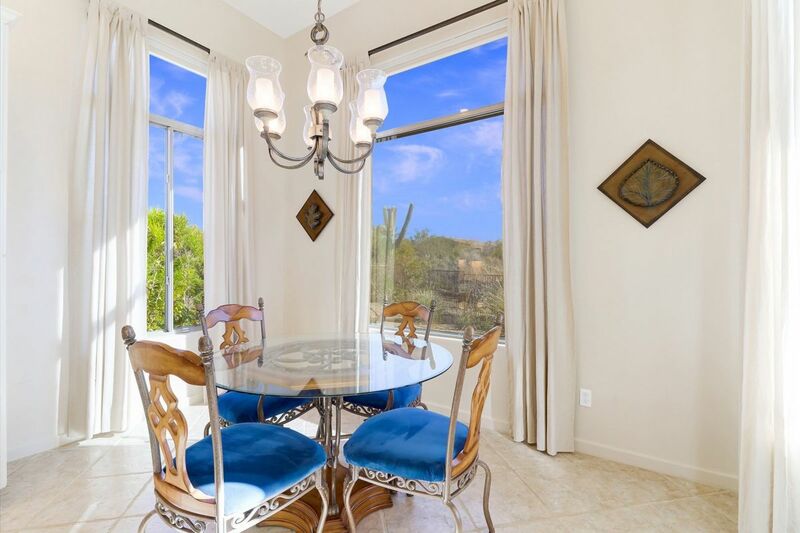 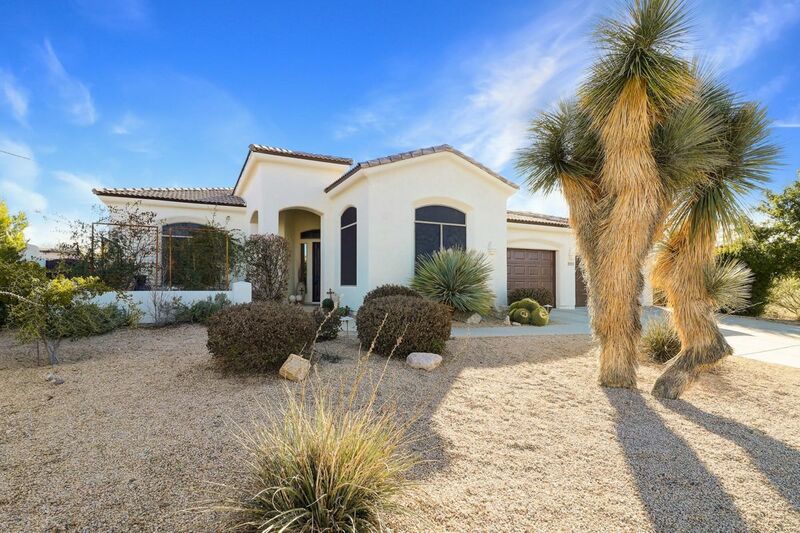 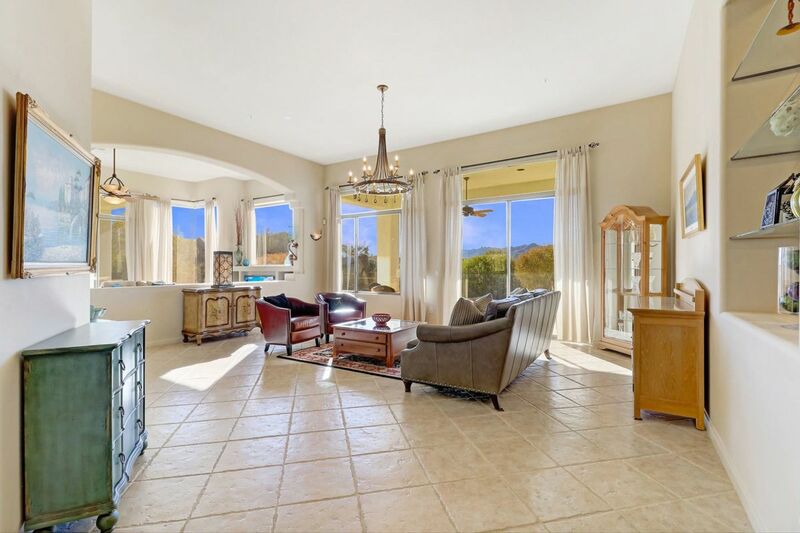 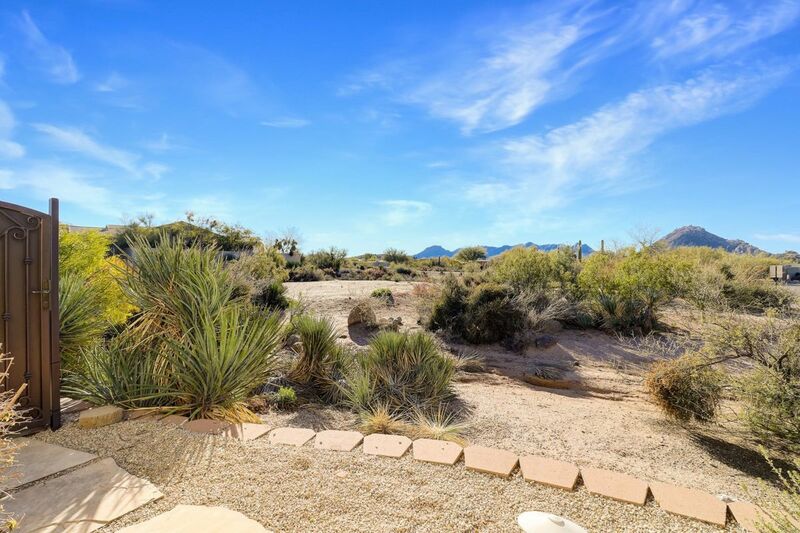 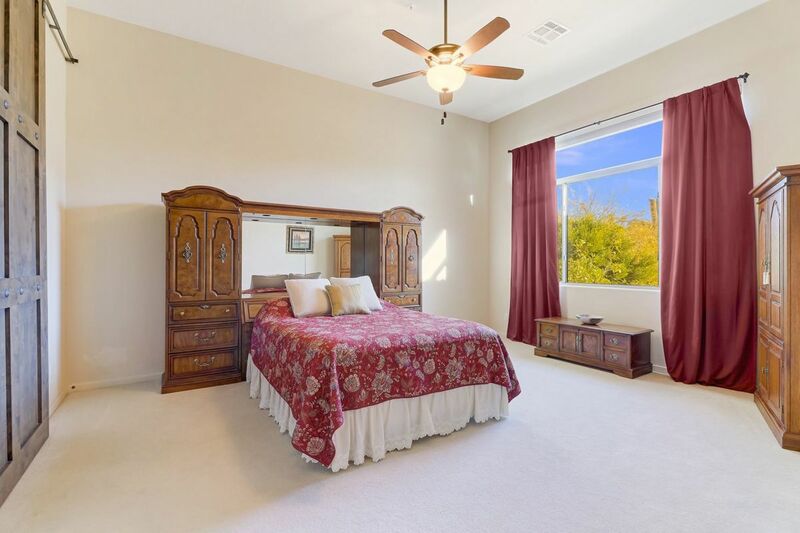 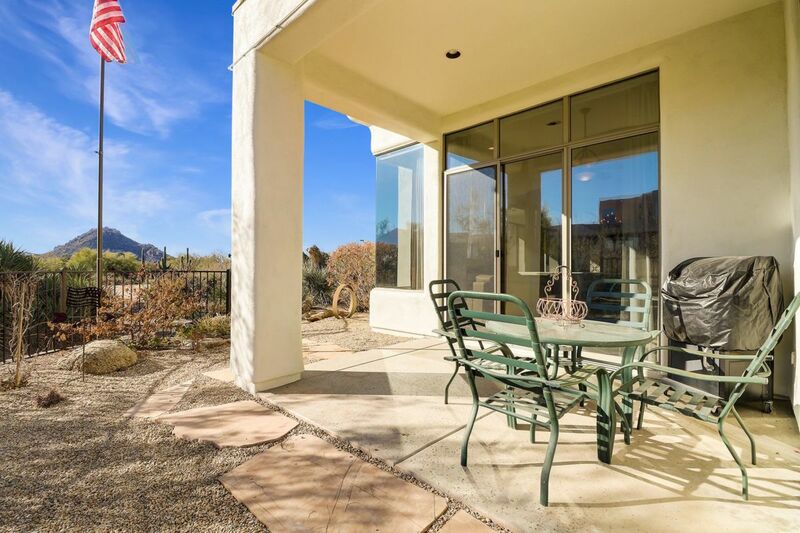 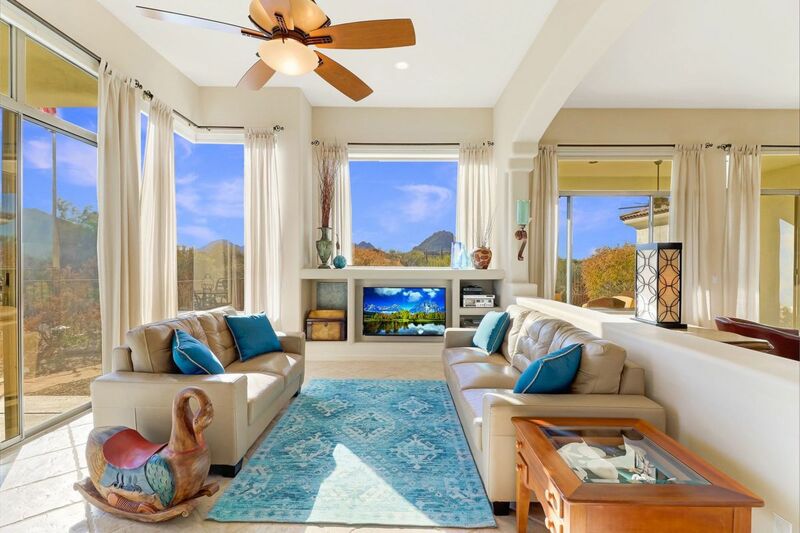 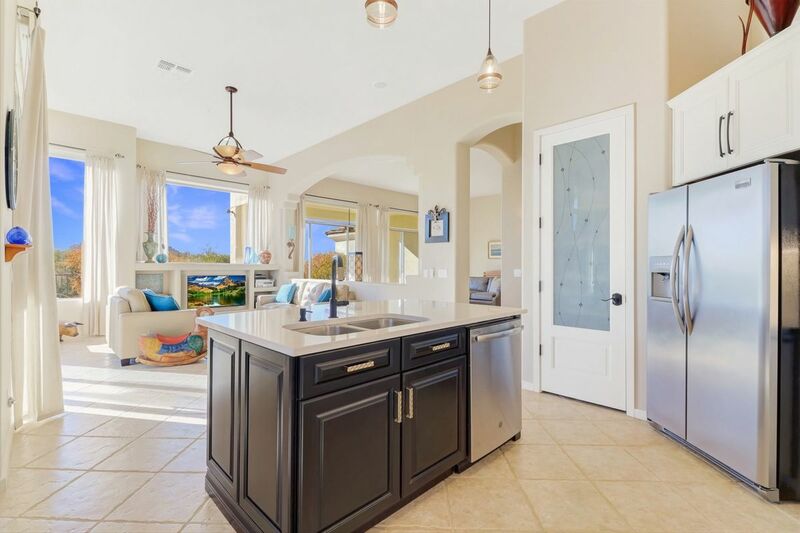 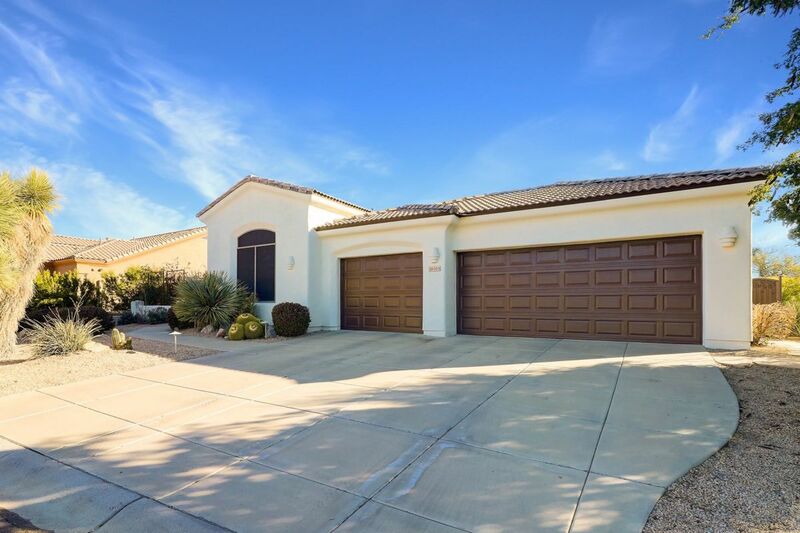 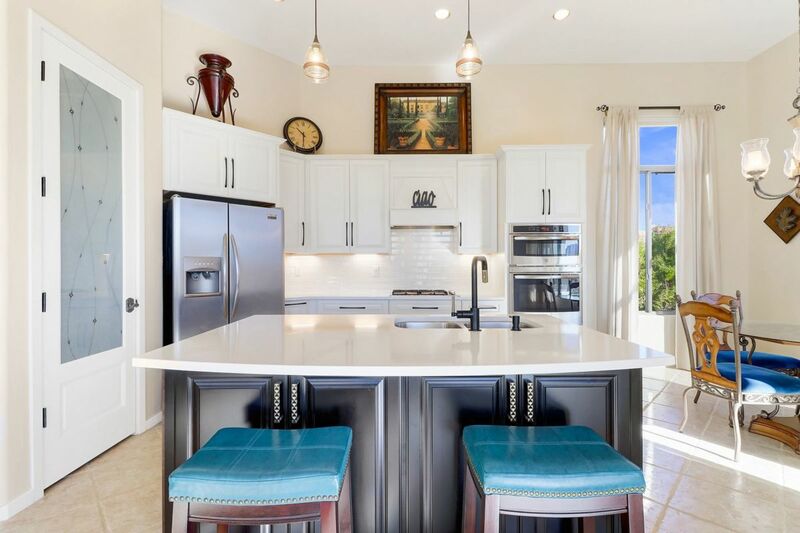 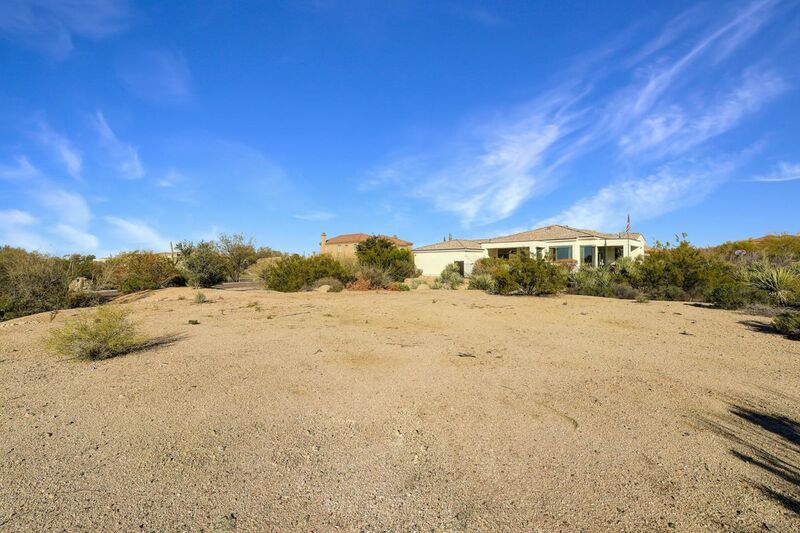 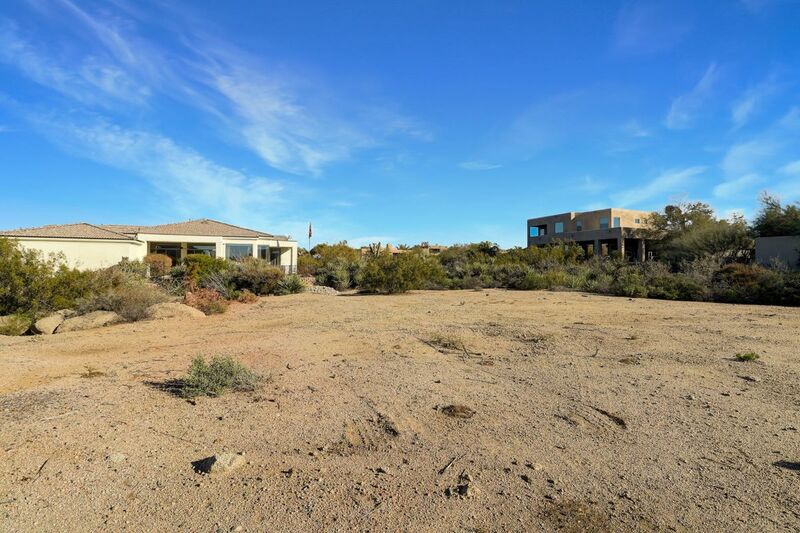 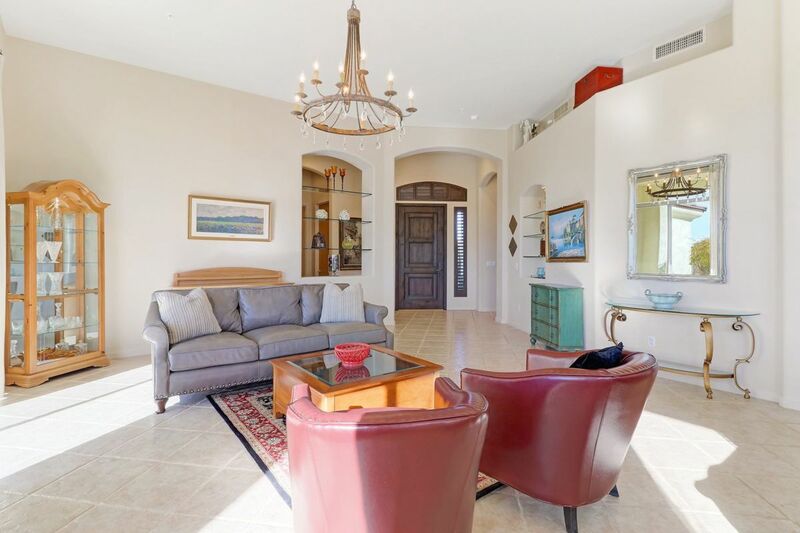 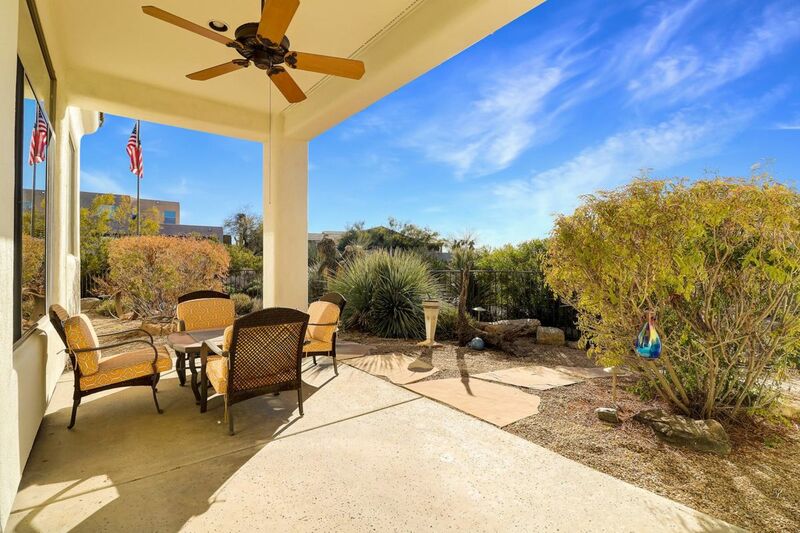 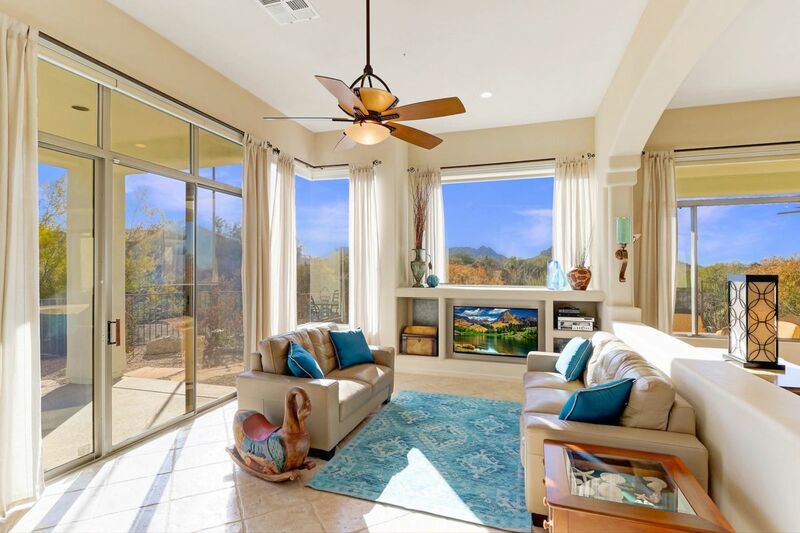 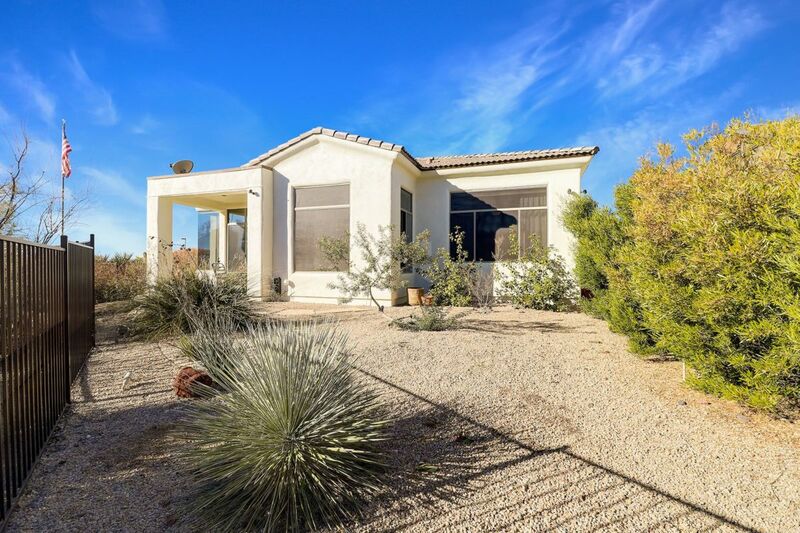 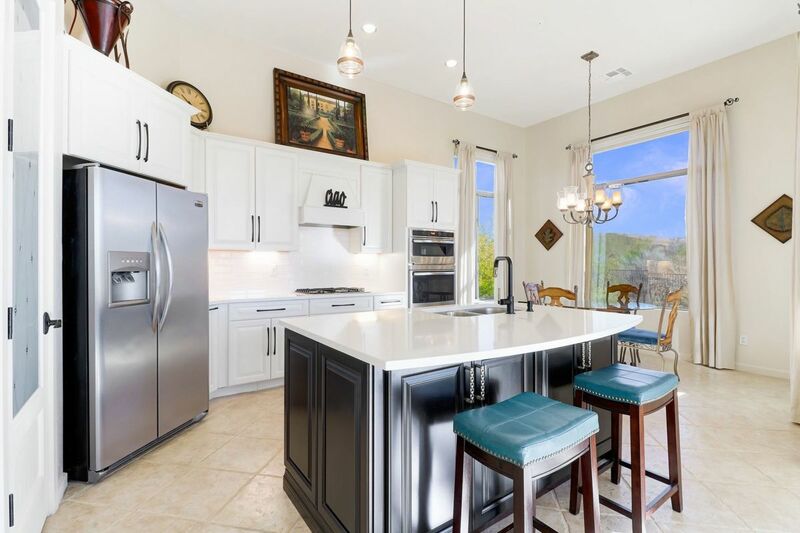 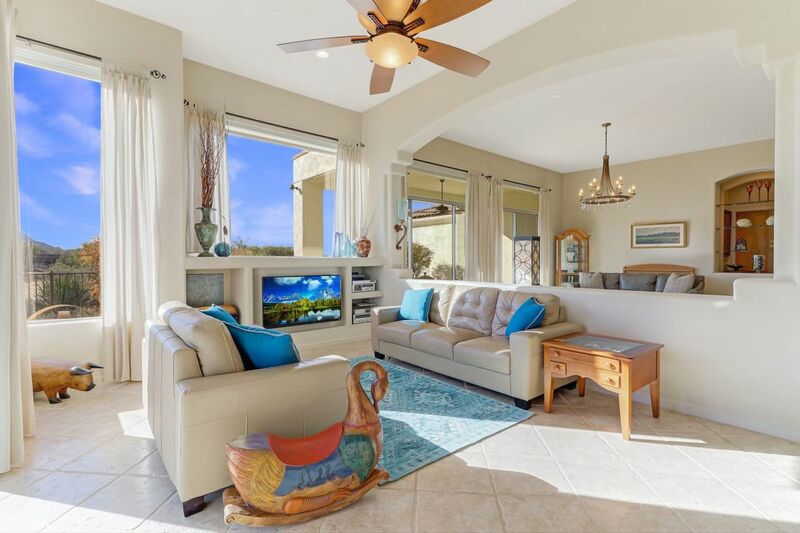 Located in Pinnacle Foothills with no HOA restrictions, this Santa Barbara inspired home includes the lot directly to the South ensuring protection of the unobstructed mountain and serene desert views. 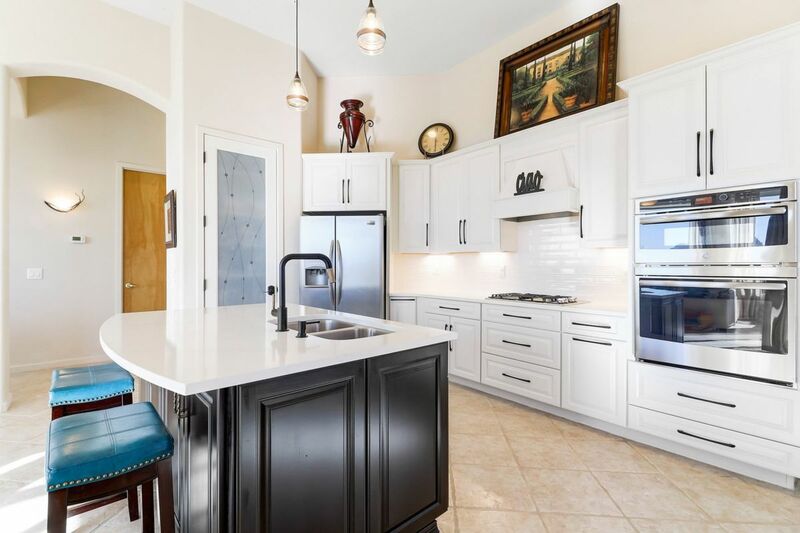 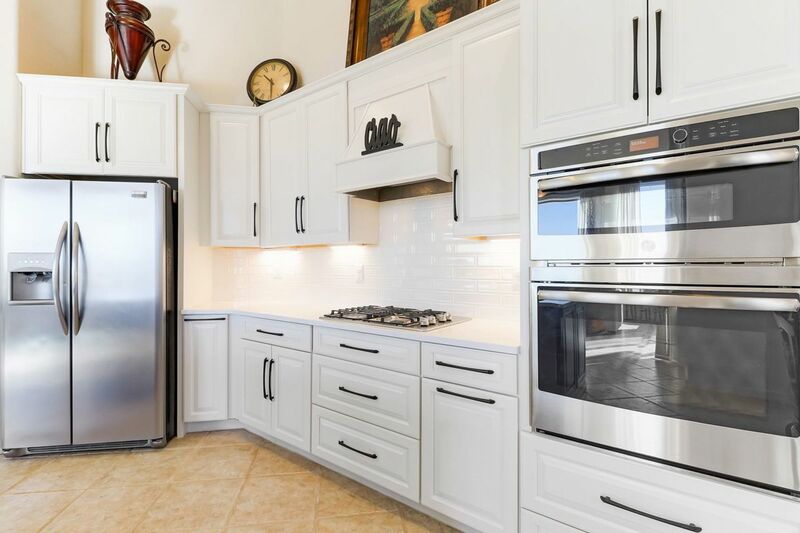 The 2018 full kitchen remodel includes new white cabinetry with contrasting handles and roll out drawers on the lower cabinets, stainless steel appliance package including gas cooktop, center island with stainless sink, beveled white subway tile backsplash and smooth quartz countertops. 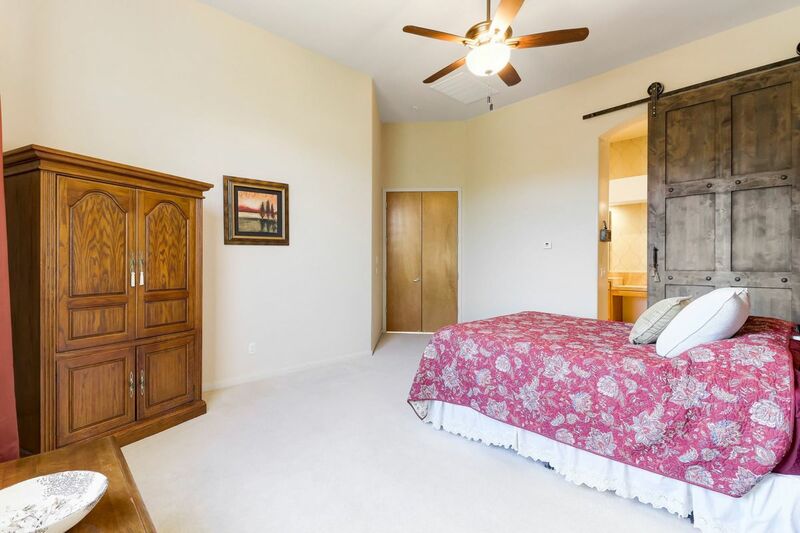 The custom made solid alder sliding barn door is the centerpiece of the master bedroom and ushers you to the master bath with soaking tub, separate shower, split height vanities, and walk-in closet. 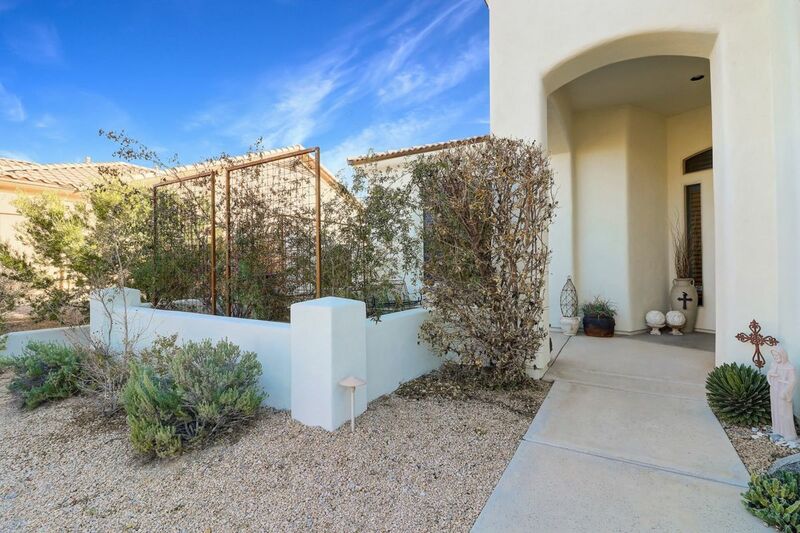 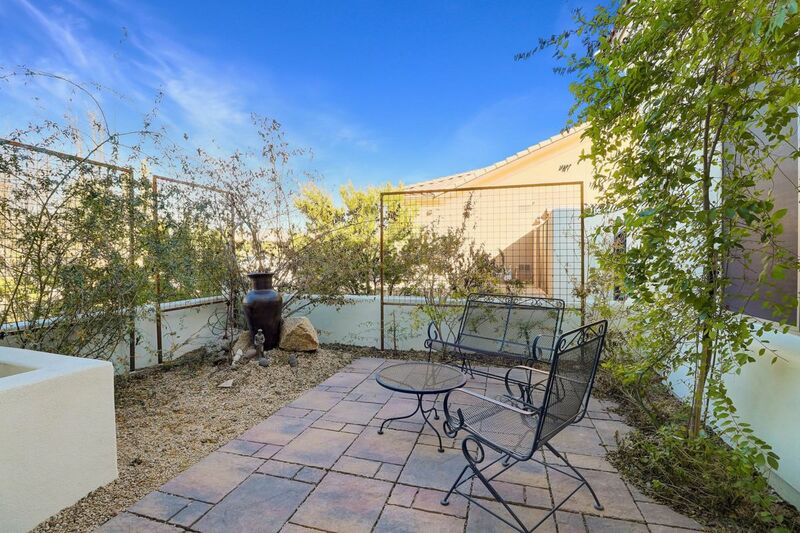 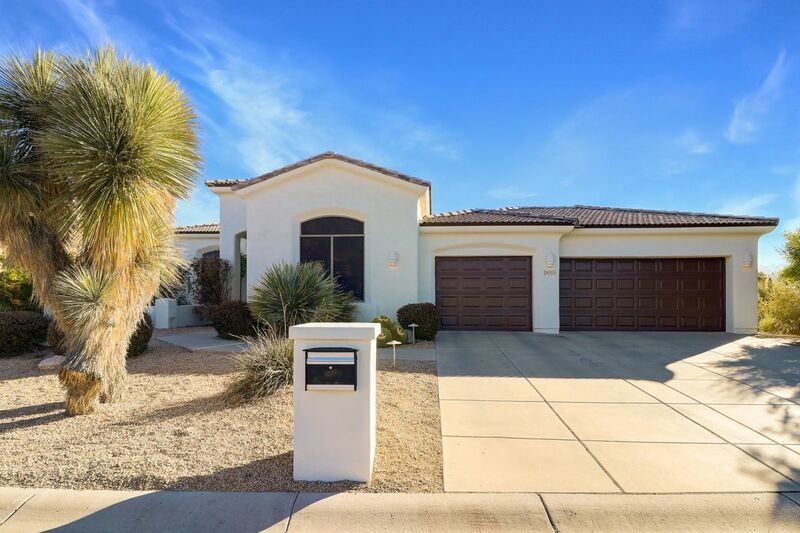 The freshly painted exterior is highlighted by a complete perimeter iron view fencing with solid metal gates, two covered rear patios, a private front courtyard patio, custom front door, three car garage, and concrete tile roof. 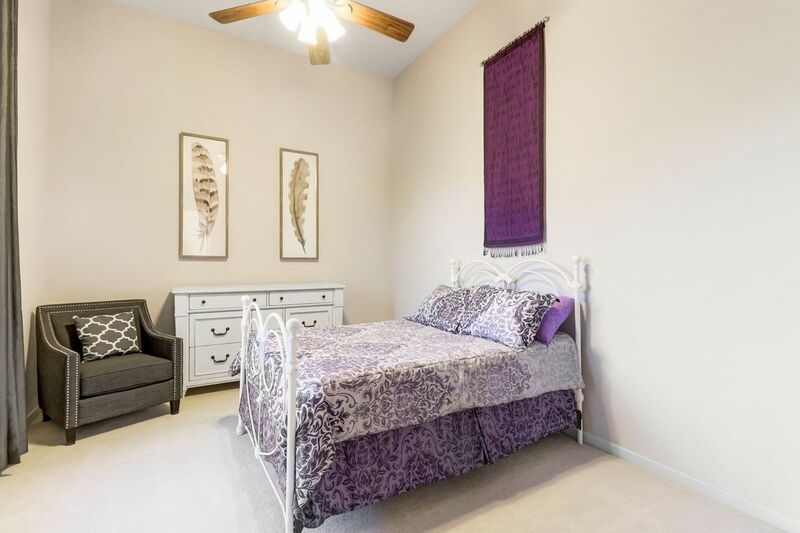 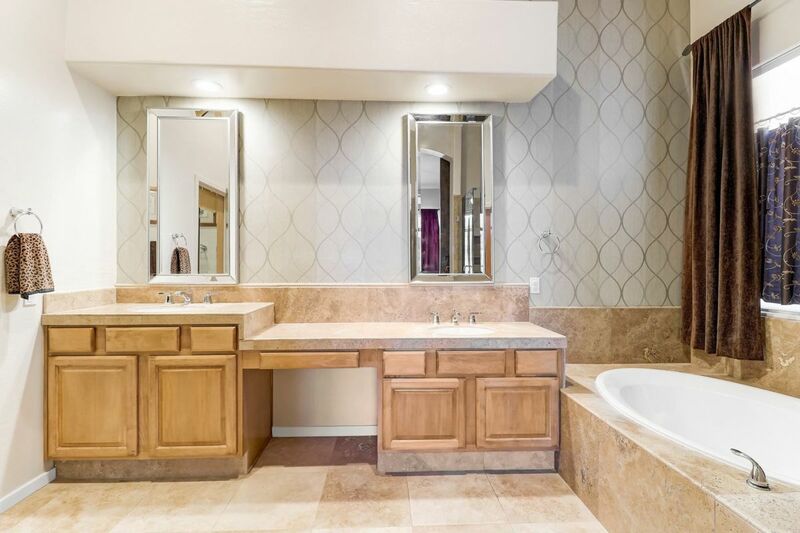 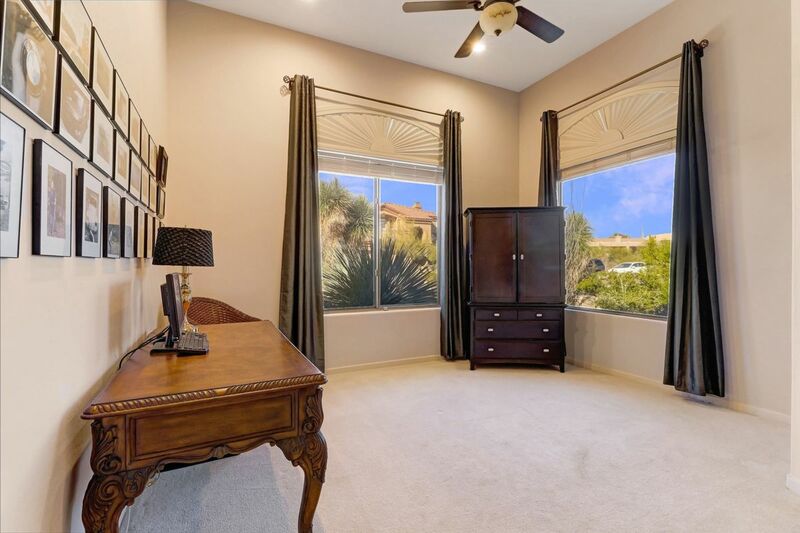 Other features include 2018 new water softener, large neutral floor tile and new carpet, built in entertainment center in the family room, remodeled hall bath with furniture style vanity and marble countertop, window sunscreens, 12 foot high ceilings, and a full sized laundry with sink.